His Imperial LP from 1961, recorded from 1951 to 1953 plus 4 bonus tracks. Who's the father of the electric blues? 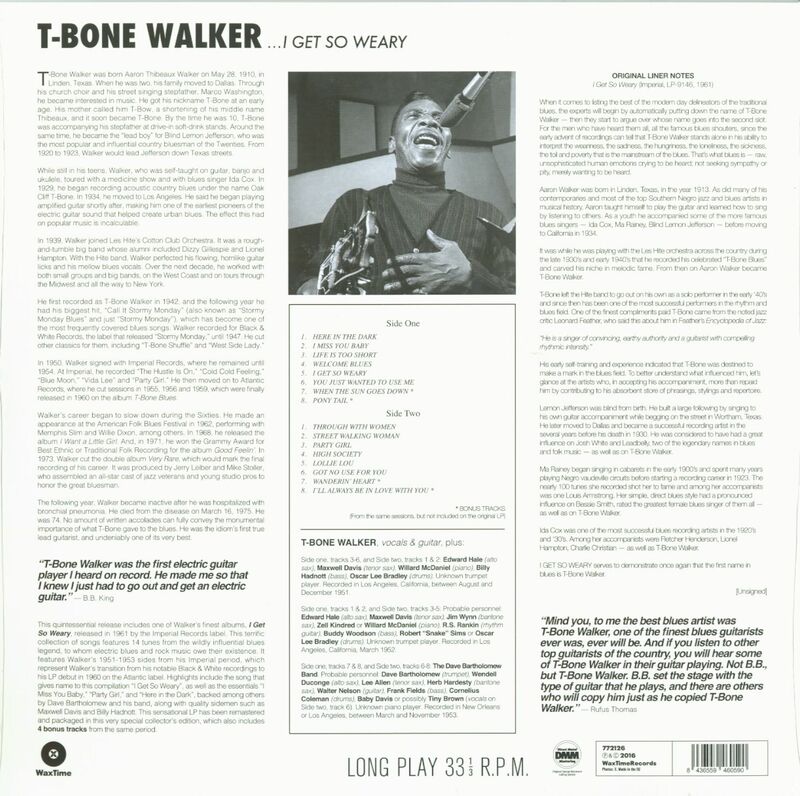 Very simple: T-Bone Walker. Of course, a handful of blues-based guitarists had already experimented with amplifying their instruments before T-Bone's appearance, but he wrote the vocabulary that everyone who followed him eagerly adopted. In short, T-Bone was the source. The elegant Mean Old World, recorded in Hollywood on July 20, 1942 with pianist Freddie Slack, bassist Jud DeNaut and drummer Dave Coleman as accompanists, was the real starting point for Walker, even though he had made his first record years earlier. 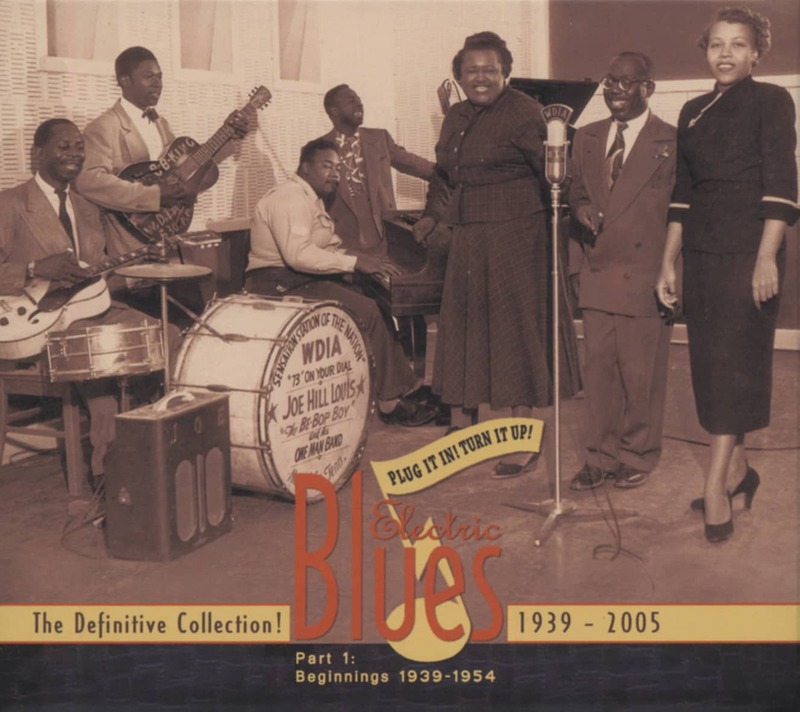 Born on 28 May 1910 in Linden, Texas, Aaron Thibeaux (T-Bone was a corruption of his middle name) Walker learned the blues from his mother, who played the guitar, and a stepfather who plucked the bass in the Dallas String Band. The famous blind Lemon Jefferson was another major influence - as a teenager Walker led him through Dallas, where Jefferson performed as a street musician. Before concentrating on his guitar playing, Walker acquired extraordinary agility as a professional dancer. 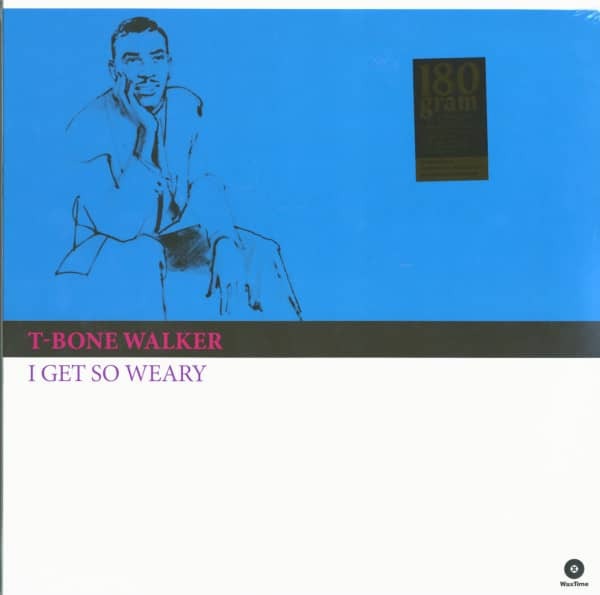 Walker made his first recordings at the end of 1929, a 78 for Columbia under the name Oak Cliff T-Bone (Oak Cliff was the district of Dallas where he grew up). At that time, of course, Walker only played acoustic guitar, even when he performed as a duo with another future pioneer of the electric guitar, Charlie Christian. T-Bone moved out to Los Angeles in the mid-1930s, where he continued to dance and concentrate on his full baritone singing - he was only a singer on his next record appearance with bandleader Les Hite in 1940. Initially inspired by Les Paul, T-Bone began to try out the newly launched electric guitar models at that time. He decided on a Gibson ES-250 and soon developed the unusual technique of holding his guitar flat in front of him like a plate while he pecked grandiose melody single-tone lines and wonderful, voluminous niche chords. 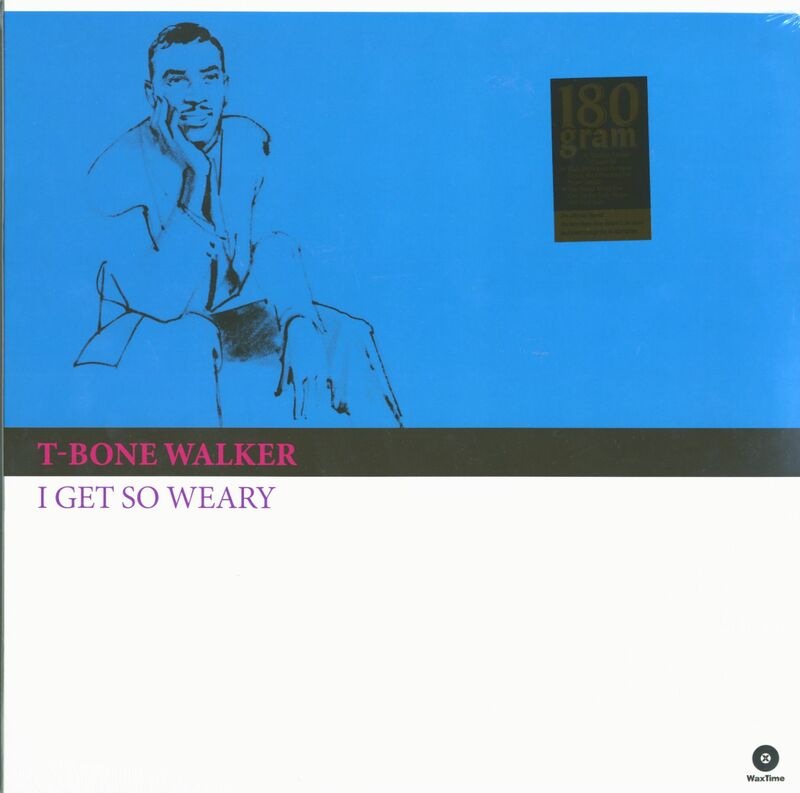 Walker's brilliant innovations prepared the field for most of the following, influential guitarists of post-war blues, from Gatemouth Brown and B.B. King to Albert Collins and Johnny Copeland. His acrobatic shows also impressed his fans. "Man, he did the splits while he was playing the guitar behind his head," Collins raved. "It was incredible!" Customer evaluation for "I Get So Weary (LP Vinyl 180g, Ltdl)"